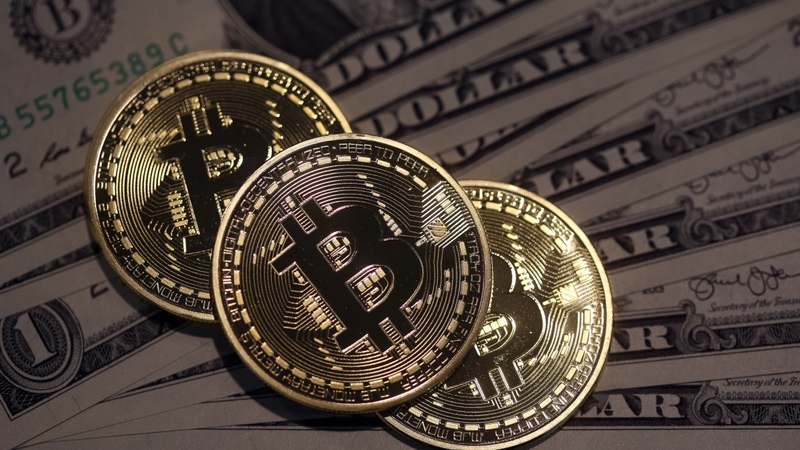 If you own Bitcoin, Ethereum or any other form of crypto currency, you have some specific estate planning needs that distinguish you from other estate planning clients. While going through the probate process with a Will works for most people, Bitcoin owners have a heightened need for privacy due to the unique nature of this asset. The probate process in Washington is not as horrific as many people want to make it out to be, however, probate is a public process. Your executor may need to file an Inventory listing all of your assets and this would include your Bitcoin. When this happens anyone and everyone can see what assets you have. Again, most of the time this is not a huge issue, but with Bitcoin, your family could now be targeted by hackers who want to steal your crypto currency. This type of attack is not something to simply brush off and say “it will never happen to me.” As you know, Bitcoin is an asset that can be stolen and, if so, you will never be able to track it. There is no federal deposit insurance to protect it like your bank accounts. There is no license plate or VIN number to give the police when your Bitcoin goes missing. To protect yourself you need to make sure you take steps to maintain your’s and your family’s privacy. So when it comes to planning your estate and the orderly transfer of your assets, the best way to maintain privacy is by not having to go through a “public” proceeding. The best way to accomplish this goal is setting up a revocable living trust. With a revocable living trust, when set up and maintained properly, you can avoid the probate process thereby adding an additional layer of privacy to your affairs. A revocable living trust is also useful for creating an orderly administration of your estate and all of the same tax minimization strategies that work with a Will also function through a revocable living trust. There are certain situations where such a revocable living trust can add tremendous value to your estate planning. Dealing with your Bitcoin after you die is one such situation. If you own Bitcoin or a similar type of asset, the living trust should be the foundation of your estate plan. If you have been fortunate enough to amass a significant estate due to your investment in Bitcoin, Ethereum or other crypto currency, you may have an estate tax problem you never anticipated. As with any other sizable estate, there are numerous strategies you can implement to address such a tax problem and still leave a legacy for your family. In many instances utilizing a credit shelter trust and a QTIP Marital Trust with appropriate language to maximize the “portability” of your estate tax exemptions, minimize state and federal estate tax and retain your tax basis “step-up” will be sufficient. These trusts are common components of a revocable living trust discussed above. In addition to privacy, the living trust can be as effective as your Will when it comes to estate taxes. This is another reason the living trust should be the foundation of every Bitcoin owner’s estate plan. For some individuals however, the trusts already discussed are only a starting point. If you have Bitcoin and other assets greater than ten million dollars, other estate planning strategies should be considered. A grantor trust is a flexible tool for estate planning with Bitcoin. First off, you could simply use it to purchase a life insurance policy that would provide liquid funds for any estate tax due. The way this strategy could work is as follows: you set up a grantor trust for the benefit of your children and grandchildren. You “seed” the trust with a gift, usually cash. The amount is normally at least ten percent of the value of the asset you want to sell to the trust. You then enter into a purchase and sale agreement with the trustee of the trust. The trust buys – let’s say – $1 million worth of your Bitcoin in exchange for the ten percent cash gift you made to the trust and a promissory note for the balance. The trust would then make payments (or a balloon payment) to you under the terms of the promissory note. The note is for a fixed principal amount and interest rate. That is now an asset of your estate. However, any appreciation in the value of the Bitcoin you sold to the trust is for the benefit of the trust (and its beneficiaries). So if the Bitcoin increases in value to $2 million you will have removed $1 million from your taxable estate. Equally appealing is you will not have to pay any capital gains tax on the sale of the asset to the trust. The reason for this is the income of a grantor trust is taxed to the grantor – you. So even though you are selling an asset to a third party for ownership purposes, for tax purposes you are engaging in a transaction with yourself, and transactions with yourself are not taxable. Another strategy is a grantor retained annuity trust (GRAT). This trust accomplishes much the same goal as the sale to a grantor trust, but is set up and functions somewhat differently. Generally, your children (or separate trusts for your children) are the beneficiaries of the GRAT. Unlike the grantor trust, a GRAT is a trust that last for a relatively short period of time. The shortest are usually about 2 years and the longest 10-12 years. With this type of trust you make a gift of an asset such stock or Bitcoin in return for an annuity payment from the trust. The value of the gift minus the value of the annuity stream is the “value” of the gift. Let’s say you give $1 million worth of Bitcoin to your GRAT in exchange for annuity payments of $900,000 over the life of the trust. The $100,000 difference is the value of the gift. That difference is what you pay gift tax on during your life, or more likely allocate part of your gift tax exemption to avoid paying gift tax at all. As with the grantor trust, if the Bitcoin increases in value to $2 million you will have transferred $1.1 million out of your estate ($2 million – $900,000).